Bridge Construction | Glenn O. Hawbaker Inc.
Our experience in bridge construction includes all types of new structures and complicated rehabilitation of existing spans. 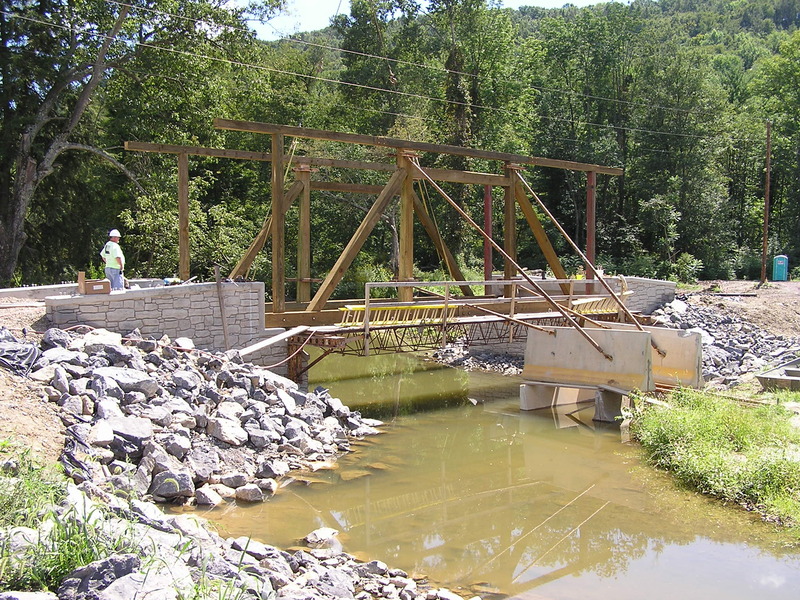 Glenn O. Hawbaker’s bridge crews are capable of constructing or rehabilitating concrete steel or wooden bridges. We can accommodate our customer’s needs no matter what the demand. 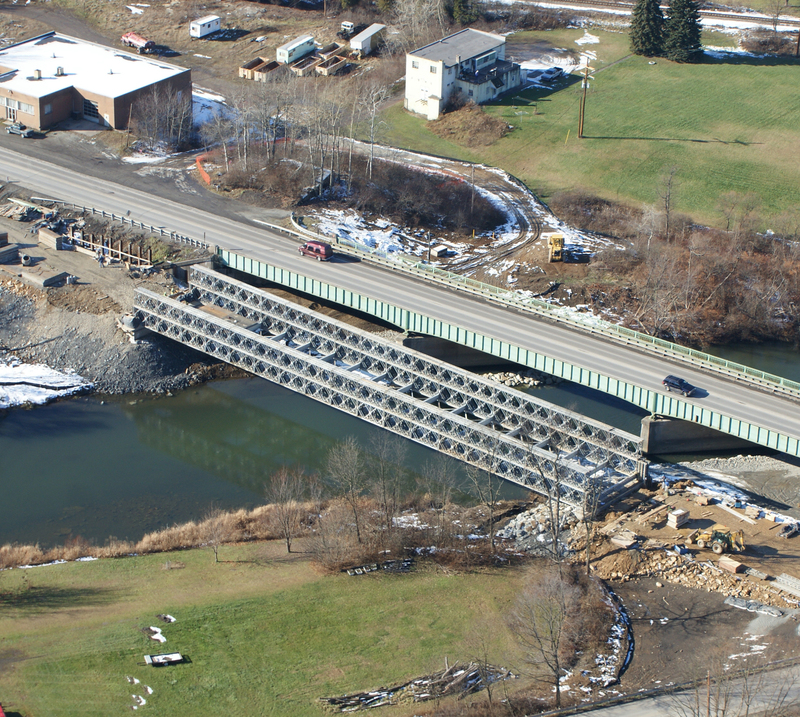 We have the ability to set beams of all types which include precast concrete box, “I” and Bulb “T” beams as well as steel girders. 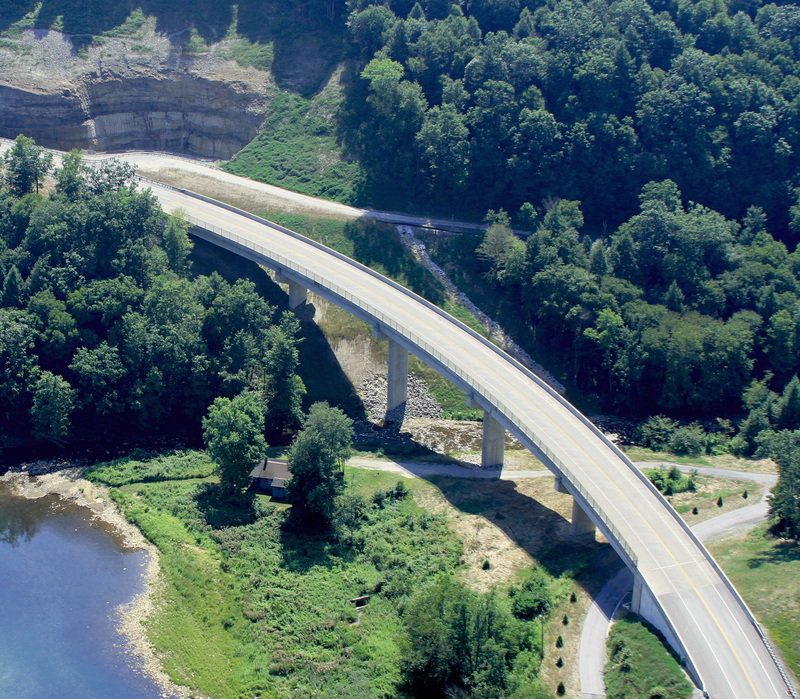 The vertical integration of our company allows us to self-perform work to construct all components of bridge structures from piling, substructures, beams, decks and parapets. GOH has created many temporary solutions to bridge deficiencies such as weight limit postings by creating temporary bridges, portable bridges and “jumper” bridges. In addition we can provide reinforcing solutions to increase the capacity of weight limited bridges.